Grip penalty increased for being over temp and having more wear (used to be only 10% grip loss at 90% wear...now is around 20%). 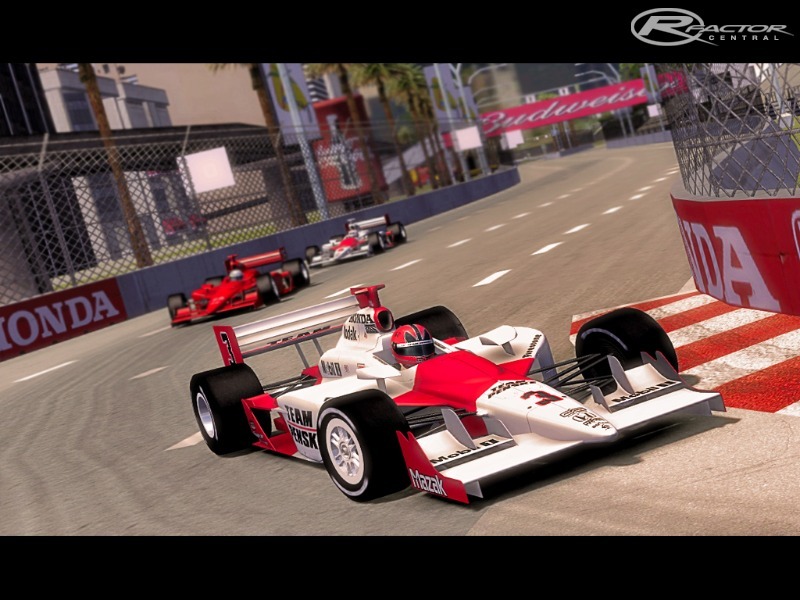 IndyCar Series cars in real life give drivers the ability to adjust the amount of fuel flow to their engine in real time via their steering wheel. 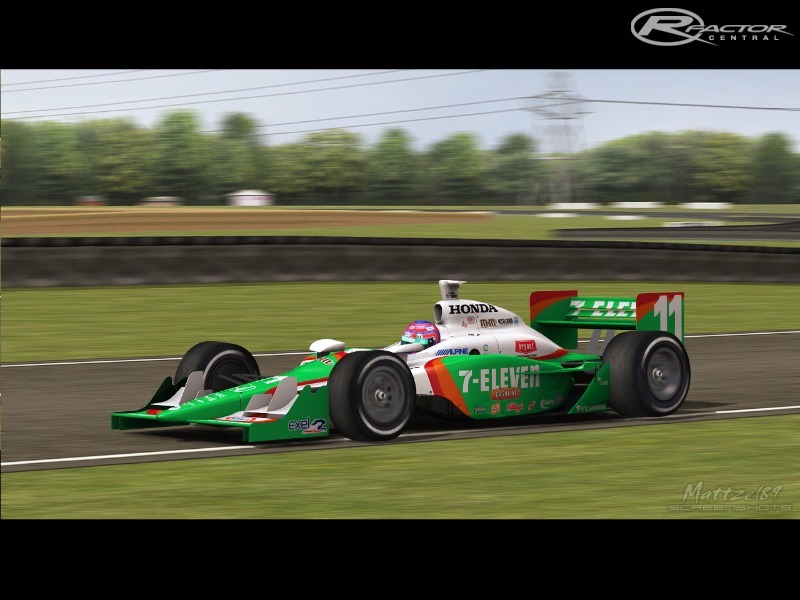 This is an ability we have given drivers in rF Open Wheel Racing also via the "Increment/Deincrement Boost" mapping in rFactor. * To set these, map them to keys on your keyboard or to buttons on your steering wheel. They can be mapped from the same window where you set your gas/brake, steering, lcd mode, etc. buttons in rFactor options. * Once on the track, use these buttons to make real time setup changes while on the track to your fuel flow. You can increase/decrease from 1 to 9 using the increment/deincrement boost. * Use the term "boost" loosely. 9 is actually 100% horsepower/100% fuel consumption. * Horsepower and fuel consumption decrease as the boost is deincremented (lower number). * The strategy comes in allowing a driver to draft off of someone running full rich (9) and perhaps lower his boost to medium-rich (4 or 5) to conserve fuel but maintain a consistant pace. * Always drive with the lowest wing settings you can safely handle. * Front wing angle creates less drag than rear wing angle, but also creates less downforce. * If a car pushes in traffic, try adding more front wing to stick the front to the ground, but dont go too far or you will lose the draft! * IndyCar Series cars can run as much (up to 22 gallons or 83 liters) or as little fuel as they like. Low fuel loads for qualifing can help to increase speed and change the handling of the car. * On large high speed ovals, a high front brake bias is reccomended to slow the car from 220+ to 50mph for pit road. 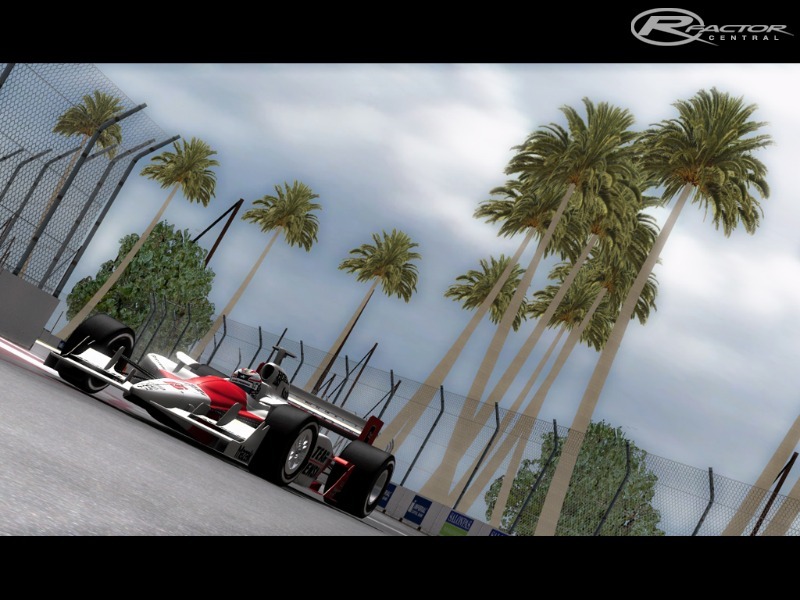 * Be sure to map the revlimiter to a key or button on your whee as it is available on IndyCars. Seasons should now work. It should not say "must own vehicle". RFM values for caution sensitivity, laps of caution, pit/pace speeds, etc. tweaked. Suits & helmets are as accurate as possible within the limits of the templates, available photos and my talents. Some helmets were originally in the Helmets folder and were renamed and copied to the team folders. ChiefWiggum made some great helmets and his were used whenever possible but his were made for 2007 so some needed updates. For those worried about LARGE downloads, promised, it is a PATCH to the previous version (Indy Edition 1.25). Enjoy and keep the feedback coming!!!! Can someone make the P.J Chesson skin for this mod? Because the DDS file for this car doesn´t appear. Someone have a new link to download?